Windows 8 is due for RTM (Release to Manufacturing) later this month, with previews already available for IT professionals, developers and businesses with volume licences. The new operating system has undergone a complete image overhaul, with major changes in usability that need to be adapted to, both by users and designers. 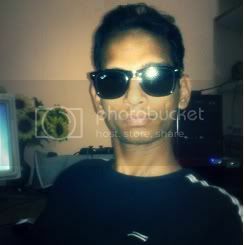 It features Explorer 10, which offers increased security, greater control and more privacy to the user. The first and most obvious alteration is the scrapping of the start menu. 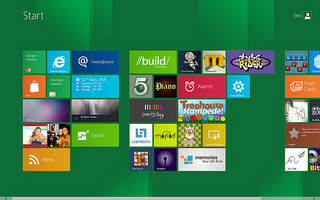 Windows 8 uses the new Metro Start Screen, a colorful yet blocky alternative. The idea behind this is to make the most commonly used tools more instantly accessible. This is a fine idea in theory, but may cause problems for those of us who utilize the less common tools or like to customize settings. Certain functions will prove tricky to locate until users get used to the new system. Microsoft have added what they call a Win+X menu to overcome these issues however – typing in all or part of a menu or document name will point you in the right direction. For example, if you cannot locate the power switch, typing in ‘shut down’ will send you straight there. Windows 8 runs in two distinct formats – programs you are running, and start screen apps. Switching between the two is not as simple as it perhaps should be. 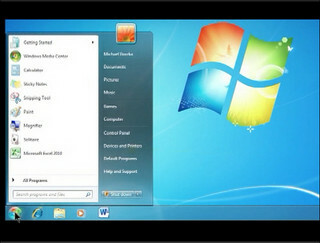 The programs you run on your desktop will display in much the same way as in Windows 7, but the apps will be invisible. Also, because the Metro apps display no task bar, task management becomes more complicated. They all open up in full screen mode as default and it is not always possible to display more than one at a time. Again, there are ways around this but figuring it out requires some time and patience. The whole idea behind any Windows upgrade is to add new features and increase usability. However, Windows 8 is perhaps a little too complex for the average home user. Software Developers will need to consider that many users of the new OS will struggle at first due to the major changes in usability – even tasks as simple as closing a page have become more complicated (there is no handy ‘x’ button on the top right, and no ‘file’ tool on the top left). The reason for this is in essence that the new system runs so efficiently that there is no need to close things down – files can remain running in the background until you actually close down the whole PC. It is possible to do anything on Windows 8 that you could do on Windows 7, the difference is that there are far fewer handy indicators of how to do anything.